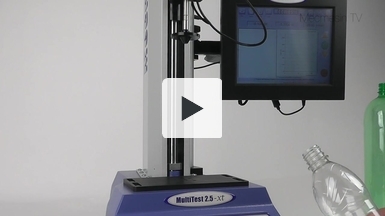 A tensile test is conducted using a touch screen controlled MultiTest 25-xt force testing stand on samples to establish elongation under load and breaking strain. 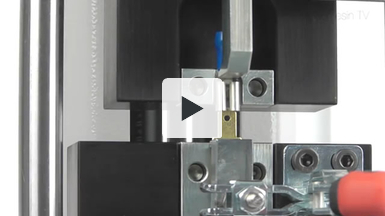 Plane grips are used to clamp the sample which is then stretched at 100 mm per minute. 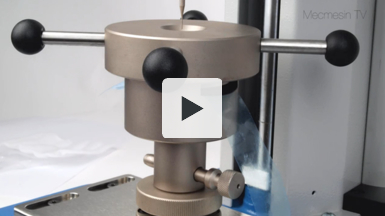 The force applied and the elongation of the sample are recorded at up to 1000 times per second. A graph of elongation vs. applied force is viewed to see the test as it is happening. 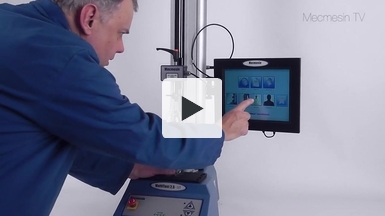 This video show a MultiTest 5-xt touch-screen controlled force testing stand being used to test PET bottles for "Top-load". 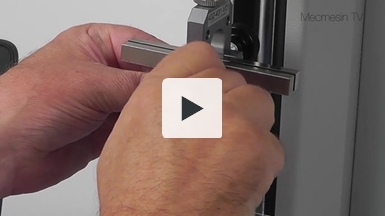 The resistance to crush testing is found together with the individual bottle height. 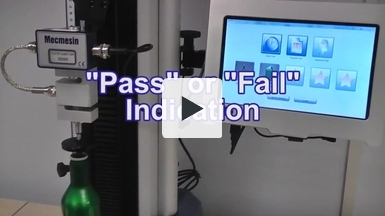 Immediate colour-coded indication of "Pass" or "Fail" is given on the touch-screen. 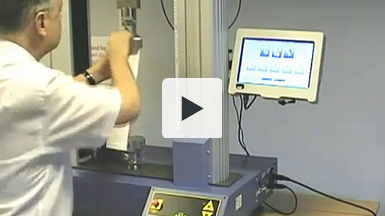 This is an important test in the "downgauging" or "lightweighting" of packaging materials. This is to reduce the amount of material used, reduce costs and to meet environmental standards, but at the same time ensuring the packaging does not fail during the filling, capping and storage process. 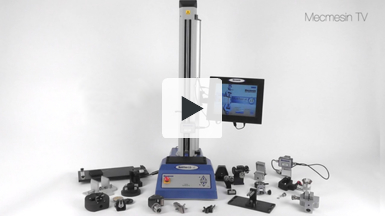 This video shows how to set up the MultiTest-xt to measure the height of different sized bottles while at the same time performing a top-load or crush test. The favourite buttons on the touch-screen are used to set the "Home" and "starting position" for each different size of bottle automatically. Upper and lower limits can be entered for both the bottle height and its performance under load, with unambiguous, colour coded "Pass" or "Fail" indication.